Join the MMRF community of patients, caregivers, medical and research leaders, business executives, philanthropists and celebrities at our high-impact brand events that educate and empower while raising necessary funds and awareness for Multiple Myeloma. There are many opportunities to become part of something bigger as we accelerate toward a cure for cancer. 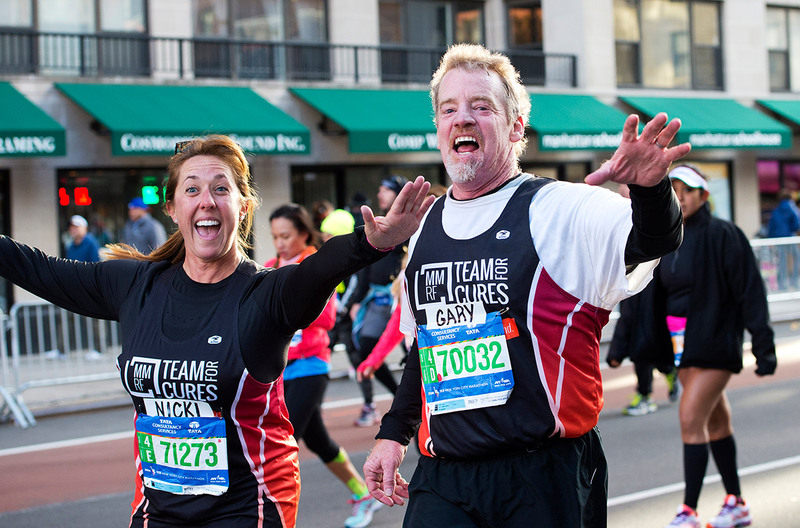 You can get involved with one of our many existing events like Team for Cures 5K Walk/Run or Endurance Events (marathon, triathlon, IRONMAN, Moving Mountains for Multiple Myeloma, (hiking), Road to Victories Cycling event, etc), or Laugh for Life (New York) Chicago Awards Dinner or create an event in your local community to honor a loved one!